While courts have recognized the right of law enforcement officers to fudge the facts to suspects during investigations and interrogations, anyone who lies to police should know they could be in violation of the law. 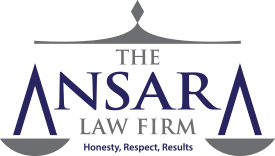 If you are charged with either of these two crimes, the dedicated Fort Lauderdale criminal defense attorneys at The Ansara Law Firm can help you explore your legal options and ensure your rights are protected. In the state of Florida, false report of a crime, also known as false police report, happens when an individual willfully alleges a crime to police, despite having knowledge that no such crime has occurred. This offense is considered a first-degree misdemeanor, which means it carries a maximum incarceration term of one year in jail, plus 12 months of probation and a fine of up to $1,000. Defendant willfully said or gave untrue information or filed a false report about a crime in Florida. Defendant was aware the report or information was not true because no such crime was committed. The report or information was given to a law enforcement officer. The defendant knew or should have known the person to whom the false information was provided was a police officer or other law enforcement agent. It should be noted that a defendant could also be charged with this crime if they cause a false report or information to be given to police, even if they don’t personally do so. The report was not proven false. Police are notorious for rushing to conclusions and taking sides early on in an investigation. In these cases, where there exists contrary evidence that supports a defendant’s version of events, this may be grounds to argue the report hasn’t been proven false. Misinformation/ mistaken belief. Even in cases where the report is later shown to be false, a defendant can assert he or she did not know the information contained in the report wasn’t true. In cases where a false report was filed due to misinformation or mistaken belief, prosecutors can’t obtain a conviction for filing a false report. Did not know person was a police officer. Lying is only a crime under certain circumstances. Here, prosecutors have to show the accused knew the person to whom they were lying was a police officer. If the defendant gave the information to someone other than a police officer or if the accused didn’t know the person was a law enforcement agent or the accused didn’t intend for it to be disseminated to police, prosecutors can’t obtain a conviction. It’s a criminal offense in Florida to knowingly provide false information to police when it comes to the commission of a crime. This offense can carry either misdemeanor or felony penalties, depending on the circumstances, including the criminal history of the accused and the seriousness of the information provided. Although Giving False Information to a Police Officer is commonly confused with Filing a False Report, these are actually two separate offenses. Whereas filing a false report involves intentionally filing a report of a crime that defendant knew didn’t actually occur, giving false information is when a crime does occur, but the defendant intentionally gives police false information about the incident. Intentionally gave information about the commission of an alleged crime. Knew the information provided was not true. Gave false information to a person who was a law enforcement officer. Knew the person to whom false information was provided was a law enforcement officer. Underlying information not provably false. The state attorney’s office is going to need to show the information at issue was not true. This can be tough to do if the facts aren’t clearly established. There are often genuine issues of material fact as to what actually occurred. In that scenario, proving falsehood beyond a reasonable doubt may be challenging, if not impossible. There is no proof defendant knew the information was false. Here, defendant would need to present a reasonable basis to indicate he or she believed the information to be true. Even in situations where defendants may have been reckless or careless with their allegation, this doesn’t rise to the level of “knowledge” that the information wasn’t true. Contact Fort Lauderale criminal defense lawyers at The Ansara Law Firm by calling (877) 277-3780 or send us an email. We serve clients in Broward, Palm Beach and Miami-Dade Counties.